Cavitation is the rapid evolution of vapor and/or gas bubbles within fluid due to very low pressure in fluid flow, or due to a rise in temperature, which raises the saturation pressure. The sudden appearance (and subsequent collapse) of bubbles causes rapid variation in pressure within incompressible fluids, which in turn can cause severe mechanical damage. 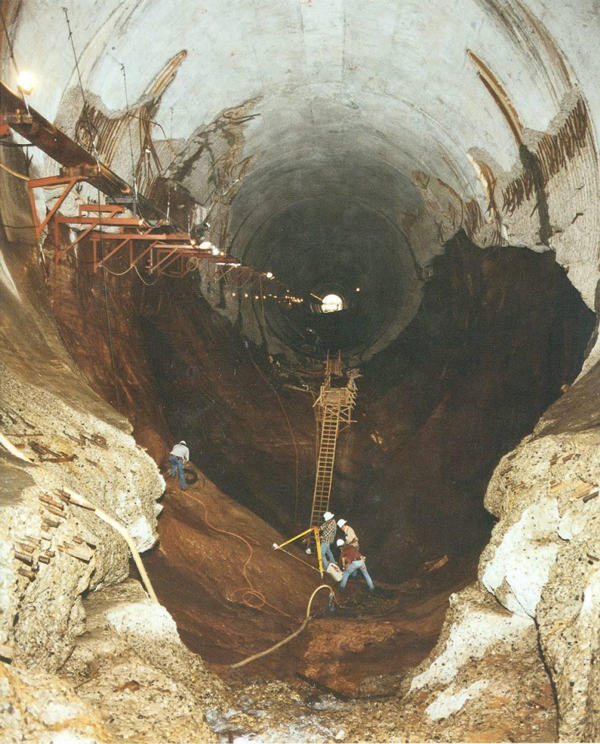 The forces induced by cavitation have the potential to erode several feet of rock in a matter of days, as seen by damage experienced within the spillways of the Glen Canyon dam in 1983 (Lee and Hoopes 1996). Additionally, cavitation can occur during high pressure die casting, whereby rapid movement of molten alloy through constrictions and curves in the die can result in rapid pressure drops and lead to subsequent cavitation. The resulting vapor bubbles can cause porosity in the final casting, or worse, damage of the die, contaminating the casting and leading to early die failure. Therefore, it is critical to understand where cavitation is likely to occur, and how bad it is likely to become. Since initiating and visualizing cavitation experimentally is difficult and potentially damaging, it is critical to simulate the process. Predict potential cavitation damage to propellers, pumps, valves, pipelines, etc. FLOW-3D’s current cavitation model has been successfully used to simulate thermal bubble jets and MEMS devices. However, a recurring issue has been that the Volume of Fluid (VOF) function has been used to track the cavitation volume fraction, in addition to tracking the free surface. The enhancements to the model for FLOW-3D’s v11.1 completely separate these algorithms and provide users a new option that incorporates the Rayleigh-Plesset model of bubble growth (Plesset and Prosperetti 1977). Two physical parameters are needed: the surface tension of the fluid and the density of the cavitating bubbles. Users also have the option of “active” or “passive” models. The active model opens bubble regions once the cavitation volume fraction reaches 1% of the cell volume; while the passive model tracks and advects the presence of cavitation bubbles through the flow, but does not initiate the formation of bubble regions. The active model is best for cases where larger cavitation regions are expected and will affect the flow field, while the passive model is best for simulations where the brief appearance of small bubbles is expected. With the active model and calculation of energy transport, phase change is also an option; the bubble can further expand or contract due to evaporation or condensation at the interface. The animation below shows cavitation within a venturi with an entry velocity of 8m/s, a convergent slope of 18°, and a divergent slope of 8°. Again, the transient behavior of cavitation is well modeled, with the model predicting a cavitation cycle period of 17.4ms compared with the experimental result of 22ms (Stutz and Reboud 1997). A high-speed bullet moving through a tank of water can be simulated, which shows the cavitating plume trailing the bullet due to the low pressures generated by it. The bullet’s initial speed is 600m/s. Below is an animation of the bullet’s motion in the tank and the trailing cavitating fluid. The radius of the cavitating plume narrows as the bullet moves through the water due to its deceleration. Lee W, Hoopes JA. 1996. Prediction of Cavitation Damage for Spillways. J Hydraulic Engineering. 122(9): 481-488. Rouse H. 1946. Elementary Mechanics of Fluids. New York: Dover Publications, Inc.
Stutz B, Reboud JL. 1997. Experiments on unsteady cavitation. Experiments in Fluids. 22: 191-198. Plesset MS, Prosperetti A. 1977. Bubble Dynamics and Cavitation. Ann Rev Fluid Mech. 9: 145-185.